Practical solution to your office needs with large work surface and plenty of drawers for storage. Available in a range of colours. 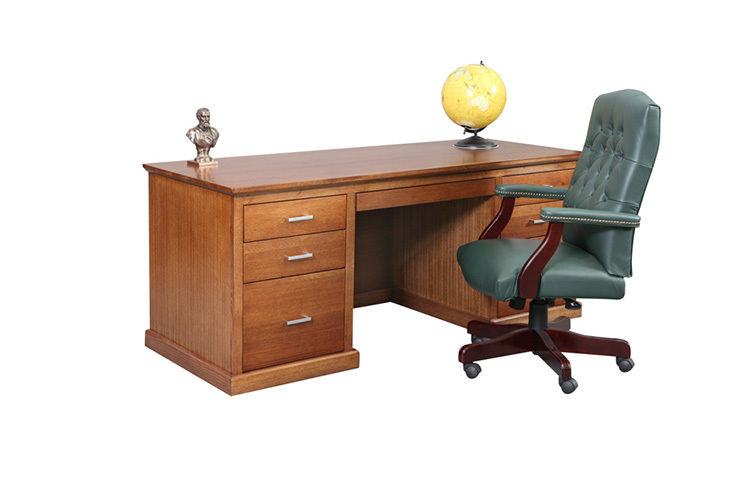 Classic style office chair available in green or black leather.